Looking for a swim spa? At Phil's Pool & Spa, we stock a large range of Australian made swim spas to suit your needs. 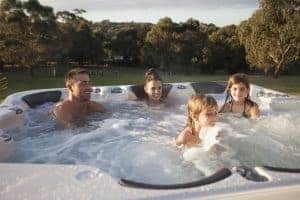 We stock only the best spa pools in Australia that are designed to suit your home and budget. Looking to revamp your swimming pool? 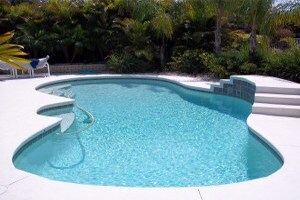 We can customise a construction package for your new pool or renovate your existing pool. When you buy a spa from us, we include everything in our prices (delivery charges, chemicals, etc). We will not surprise you with any additional costs. We're proud to announce that our major stockist (Sapphire Spa's) is 100% Australian owned and operated. Our products are built to last and all include a ROCK SOLID WARRANTY for your piece of mind. 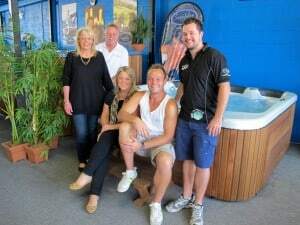 We encourage all our customers to drop in to our Kirrawee showroom and take a look at our huge range of spas on display. Our customer service is second to none. We're a family owned business operating in the shire since 1987! What should I consider before purchasing a spa? What is included in the purchase price of my spa from Phil's?